Enhancing Happy Hour one glass at a time! Announcement This is Vineyard Road. Welcome Home! Every unique piece of art is handcrafted with unadulterated joy! I've been creating Tipsy Tokens© and uniquely decorated crystal cocktail stemware since 2001. You can exhale now... it's Happy Hour. Enjoy it with our signature drink. Add all ingredients to a cocktail shaker filled with ice. Shake vigorously. Strain into a chilled martini glass. Garnish with a lemon twist. This is Vineyard Road. Welcome Home! FREE SHIPPING! Bottle necklace. 21st birthday. 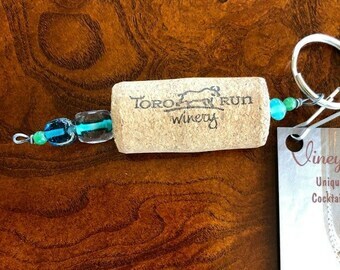 wine bottle tag. bottle jewelry. neck charms. hostess gift. gift wrapped. wine jewelry. Great item & very fast service. Ornament. Pumpkin. Halloween. Steampunk. Toothy. Stained Glass. Welcome to Vineyard Road Home. Grab some coffee or wine and nestle in, we've so much to explore! I've been creating and selling uniquely decorated cocktail stemware under the name Vineyard Road since 2001. My belief is that the vessel you drink from should be as beautiful as the elixir inside. It's why I choose to use crystal stemware, as opposed to regular glass as the base for most of my creations. My designs are painted to enhance the look of the wine, not cover it up. I like to see what I'm drinking! Don't you? Vineyard Road Home is a natural extension of my love for all things Happy Hour, all things relaxing and the contentment it imparts. It's the gratification of a long exhale after a busy day. Everything I do is meant to evoke bliss in your life. 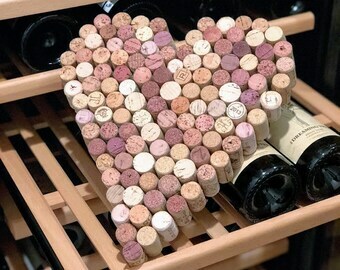 From the feel of the personalized crystal stemware in your hand and on your lips, to the visual delight of dancing rainbows cast through beveled glass stars, and even to the cork creations that honor the vine and sun and water that connect us to the earth. It is my pleasure to offer up these creations for your own personal unadulterated enjoyment. Stop by often, the coffee's always on and the corkscrew close at hand. This is Vineyard Road. Welcome home. Everything I create is meant to evoke unadulterated joy in your life!